Venus has winners of all ages! What about “prep” for the Venus contest? It’s totally up to you if you want to do any version of “prep week” before your final photo’s or not. It’s not a requirement and it’s completely personal preference. The Venus Factor “Slim in Seven” is a good program and not as drastic as the old school fitness competitor prep week. If you decide to follow the Venus Factor “Slim in Seven” there is a daily diet protocol designed by John Barban. A lot of people ask how do they know what percentage their protein, carbs, and fat are? The best way to do this is to use a tool like Myfitnesspal to set your macro percentages. 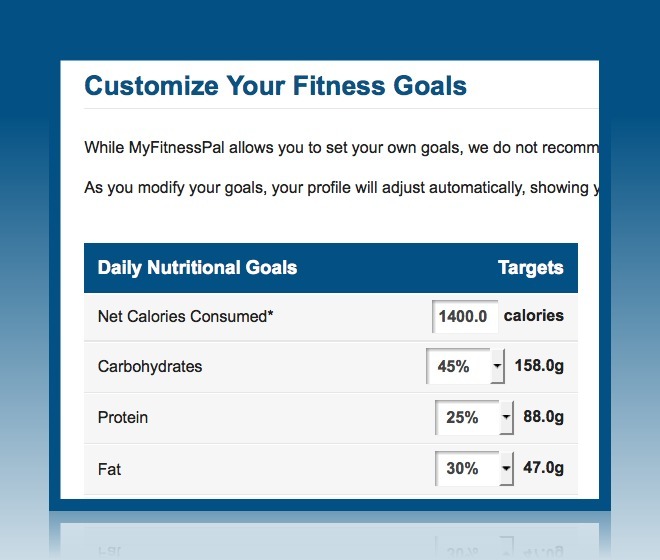 In the MyFitnessPal menu you can do this by going into your Home menu, then Goals, then the green “Change Goals” button, then select “custom”, then Continue. To set your macro percentages in In the MyFitnessPal menu; go into your Home menu, then Goals, then the green “Change Goals” button, then select “custom”, then Continue. Keep in mind it doesn’t have to be exact. You can change things up depending on how you feel or how much stress you are under. As you can see from the experiments of many of us what matters most is all the work in the weeks and months ahead of time. Whether you are finishing the contest as a transformation, cover, or calendar girl you are not required to have a professional photographer. Be proud and make your best presentation ever! Celebrate your hard work and success by giving it your best effort and having pictures that you will cherish for the rest of your life. It’s a record and a reminder for you on what you have accomplished. What to do with your final Venus contest photos? When you submit your final photos the bikini type outfit will be used primarily for judging purposes only. Please feel free to submit other final pictures in nice clothes of your choice that still show off your new shape; for example a dress, skirt, jeans and tops, sports outfits, hobbies outfits like tennis, golf, yoga, etc. We would also love to have a before picture that tells your full weight loss story so others can see that there is more to the story then just the 12 week contest window. Get your final entries in by midnight Eastern time April 13th. Use the contest entry form (the same that you used to enter the contest). Note: If you have errors with the contest tracker please clear your browser history or cookies and try again. We are looking forward to the amazing results of your hard work.